Indonesia is a country with over 17,000 islands and spoken 300 languages. The diversity of the country is a dream for every traveler. White sand beaches, incredible hikes, a hot and cool climate, volcanoes, craters, and incredible marine and wild-life. 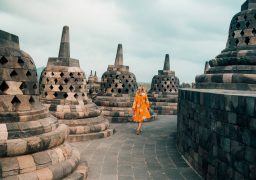 Use these Indonesia blogs and tips to travel around.